A beautifully presented Oyster Shell shaped dish with spoon. 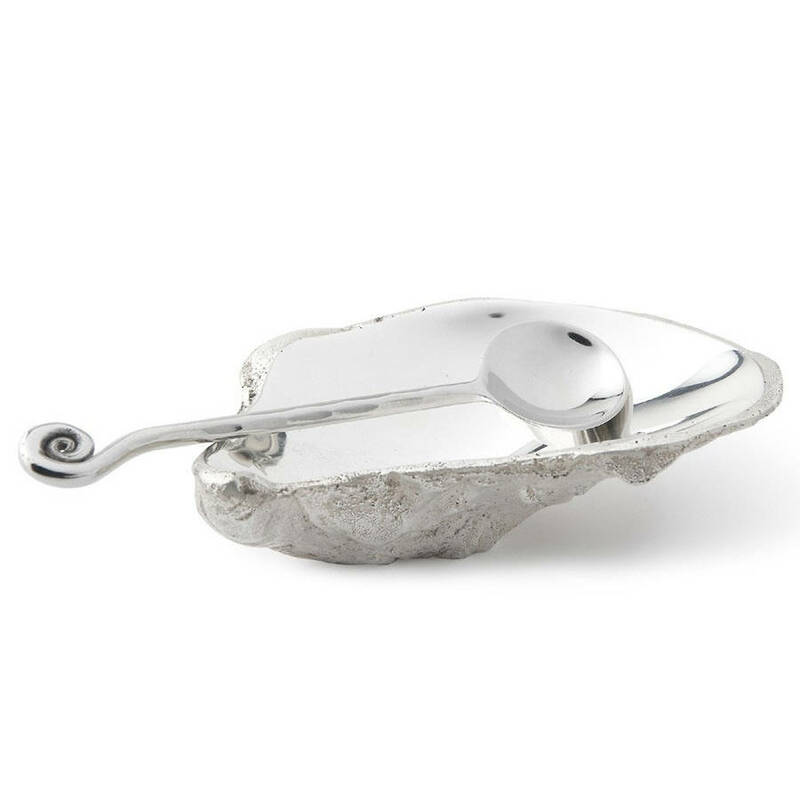 This makes a great gift for anyone with a passion for shellfish (or a love of the seaside), this quirky dish is modelled on actual Oyster Shell and is sure to bring a feel of the seaside to any table - you can also fit an real size oyster into the Oyster Shell, making it an original serving dish - just the thing for serving sauces or flavourings with shellfish. Oyster Shell - 10cm L & 5.5cm W, Spoon - 10cm L. Beautifully gift boxed.